It's that time of year again, the first step to becoming a mentor! 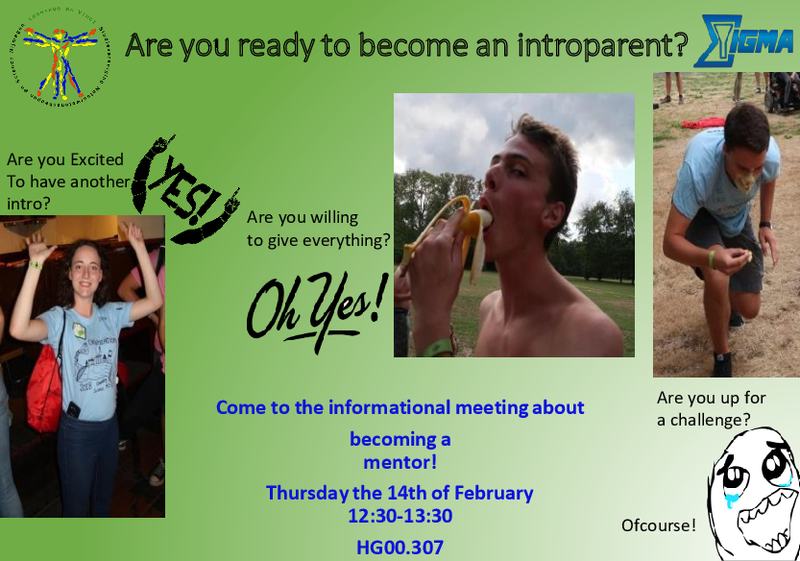 Whether you're sure you want to be an introparent, or are still doubtful, join the informational meeting about becoming a mentor for the 2019 Orientation! We will tell you everything you need to know, and if you have questions, you can ofcourse always ask. Join us Thursday the 14th of February during the lunch break!